The Tactus Award aims to encourage excellence and the sharing of ideas, resources and expertise in the creation of tactile books for visually-impaired children. It also aims to increase the quantity of much-needed, high quality tactile books in the EU. More information is in this pdf document (word version here). Details of entries and prizewinners can be seen in this pdf document. Information from the 2007 and 2006 competitions is below. 2007 - we have included these snippets to recognise and celebrate the work of all who were involved. The Typhlo and Tactus Award aimed to encourage excellence and the sharing of ideas, resources and expertise in the creation of tactile books for blind and partially sighted children. It also provided much-needed, high quality tactile books around the EU. The competition was open to anyone in the eight participating countries: UK, France, Italy, Belgium, Finland, Netherlands, Poland and Germany. Winners received a trophy and 600 Euros, and also saw several hundred copies of their books produced and distributed (at an affordable price made possible by an EU subsidy) in English, French, Finnish, German, Dutch, Czech, Italian and Polish editions. A tactile book designed and made by Susannah Phillips of Bath has won the Cultural Heritage prize in the 2007 European Typhlo and Tactus tactile book competition. 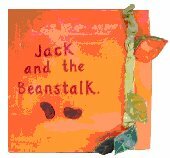 Hundreds of copies of her book, Jack and the Beanstalk, will now be produced at a sheltered workshop in Dijon, for sale at an EU-subsidised price in ten European countries. Netherlands, Poland, United Kingdom, Lithuania and Estonia and consisting of equal numbers of sighted and visually-impaired people, met in Dijon on 8th and 9th November 2007 to judge the 68 entries. The UK judges were Claire Wilson from RNIB and Moira Garscadden from Education Leeds VI Service. The chair of the judges was Mme Claudette Kraemer from France, whose book ‘Crokato’ won the first Tactus competition in 2000. First prize in the open category went to Cuore di Pietra (Heart of Stone) by Mauro L.Evangelista of Italy and a special award went to an Estonian book by Liis Raudsepp. Susannah Phillips has worked as a textile designer since completing a degree in Printed Textiles at Glasgow School of Art in 1991. Another UK entry, The Lost Purr..rr, by Linda Davey from Ruddington in Nottinghamshire, reached the final shortlist of nine books. Susannah Phillips won a trophy and a cheque for 600 euros. 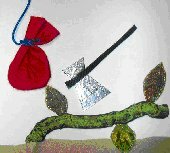 A tactile book for blind children, designed and made by five women in Guildford, won a special award in the 2006 European Typhlo and Tactus tactile book competition. Take 5 Fish was much admired by all the sixteen judges, half of them visually-impaired, who met in Dijon, France in November 2006 to choose the winning books from the ninety-two entries from all over Europe. This was the first time a book from the UK had won a Typhlo and Tactus Award. 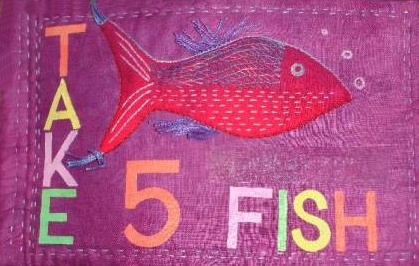 Take 5 Fish is a fabric book, designed and sewn by Jenny Ashford, Betty Lardner, Jane Cobbett, Brenda Fox and Deirdre Scott with text by Ada Carrott. The pages are made of fabric with the text added in print and in braille. The illustrations involve a wide variety of different textures, as well as contrasting colours and reflective materials to stimulate children with a small amount of sight. Each page of the book involves the child in a counting game, with fish to be found in hiding places behind rocks, in shells or in fishing nets. The judges especially admired the interactive nature of the book, as well as the extraordinary variety of textures achieved with different materials and sewing techniques. 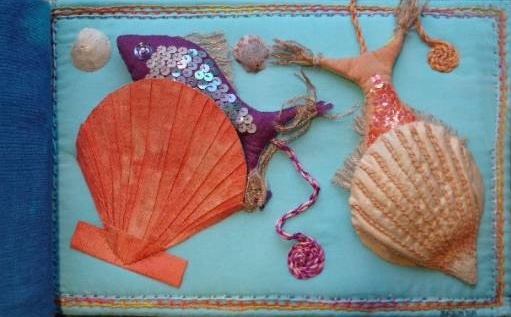 The five women met at an adult education class whilst studying for City and Guilds qualifications in Creative Embroidery and have since exhibited their work in the Guildford area, where they have become known as ‘Take Five’. They are all members of the Guildford branch of the Embroiderers’ Guild, as well as another local group, the Wey Valley Workshop. Take 5 Fish has now been donated to the ClearVision Project, a postal lending library of over 14,000 children ’s books in print and braille. ClearVision lends adapted children’s books to over a thousand schools, public libraries and families all over the UK so that they can be shared by visually-impaired and sighted children and adults. Registered as a national charity in 1992, over the past six years ClearVision has built up an additional loans collection of nearly a thousand hand-made tactile books– one of only three such collections worldwide. Most of these tactile books have been made and donated by volunteers.